Registration and coffee: 9:30am – click here to RSVP. 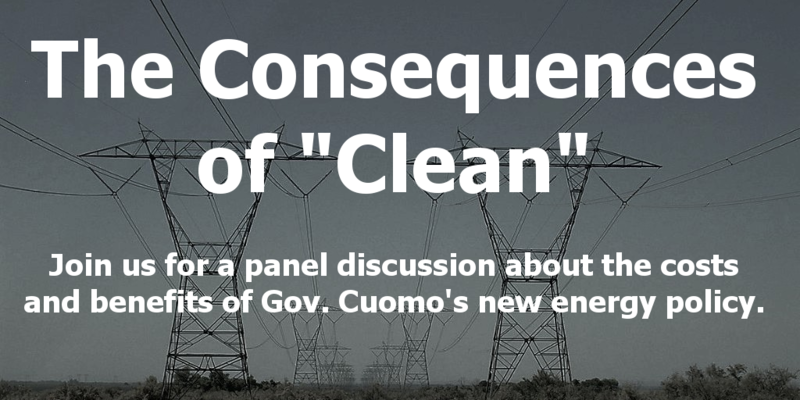 On November 14th, the Empire Center will host a forum examining Governor Andrew Cuomo’s “Clean Energy Standard,” under which New York ratepayers will subsidize certain renewable and upstate nuclear power plants. The forum will feature informed presentations and a panel discussion with experts who have been both supportive and critical of the proposal. 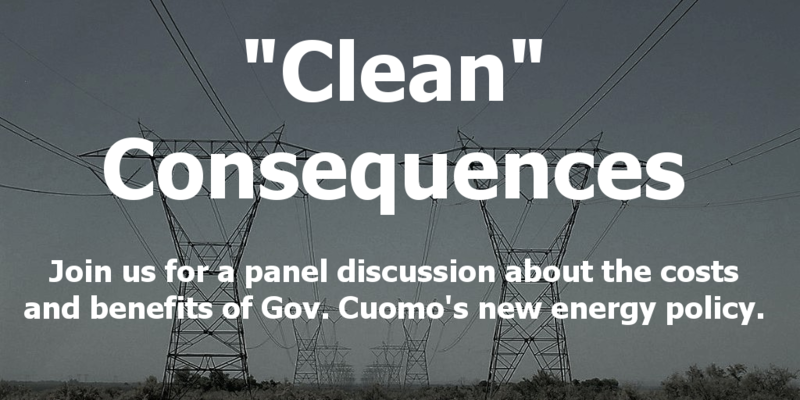 Panelists will discuss the standard’s costs and benefits, as well as how it will impact carbon dioxide emissions. They will also examine the process by which the standard was enacted and the overall feasibility of Governor Cuomo’s “50 by 30” goal to have half of the state’s electricity come from renewable sources by 2030. Barbara Lombardo, acclaimed journalist and former executive editor of The Saratogian, will moderate the panel.